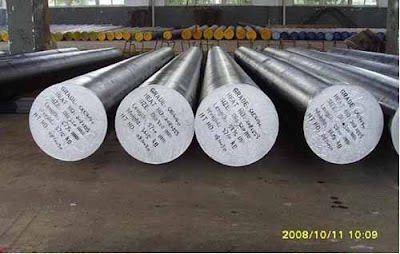 Kami menjual JIS SKD 61 tool steel Round Bar dan Plate.Tersedia Roundbar : Ø 10 mm – 303 mm, Square : 10 mm – 100 mm, Plate/Flat Thk : 10 -100 mm Width : 25-1000 mm. 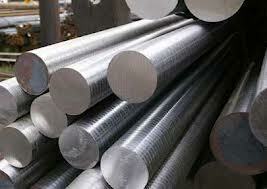 Among the alloy tool steels, the so called hot work die steel (JIS name is SKD61) is being used as the material for the cavity or the core. It is also considered precious as a material for thin core pins because it has a relatively high hardness, withstands wear, and also has relatively high resistance to shock. In order to bring out its excellent characteristics, SKD61 needs quenching, and after quenching, it is tempered to stabilize the metallographic texture and to improve its toughness. However, since it is known that depending on the conditions of tempering SKD61 causes change of dimensions and reduction of hardness, unforeseen failures can result if the tempering is done without understanding this trend. Therefore, in this course, the tempering characteristics of SKD61 are explained below. Therefore, since the hardness decreases suddenly if the tempering is done at an unnecessarily high temperature, care should be taken when resistance to wear is necessary. The external dimensions of the work change, when SKD61 is tempered after it is quenched. Depending on the tempering temperature, the external dimensions can become larger or smaller. If additional machining is not to be done after tempering, it is necessary to carry out the machining work before quenching taking into considerations the change in the dimensions after tempering.